As you know, I gave up sweets/desserts for the month of May, and it's been really hard. I have cravings every day, and it's not getting any easier, but I'm managing. I want to prove to myself that I can do it! That's why I like doing little challenges like this sometimes--I would never want to give up desserts forever, but it really does strengthen my willpower when I can complete a challenge like this. It's only 31 days, so I know I can do it. What have you done this week to make you feel proud? Here are some submissions for Motivational Monday--and they are definitely motivating! Maggie (on the left) started running in 2010, and has since gotten several of her friends to join her! 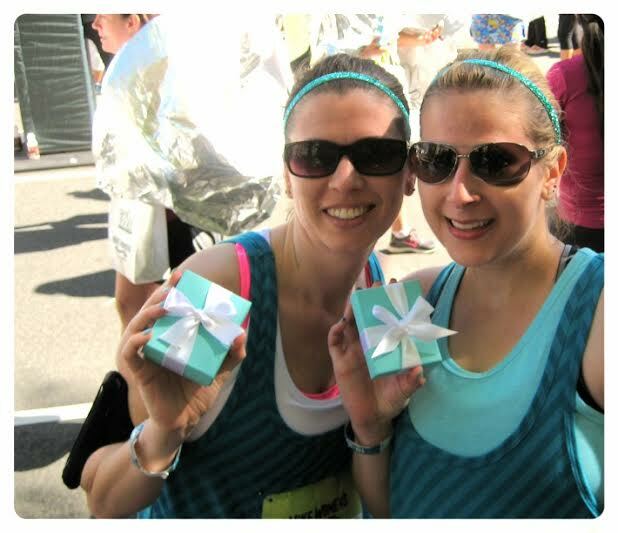 In 2012, Lauren (on right) did the Couch to 5K program, and the two of them did the Color Run together in Philadelphia. 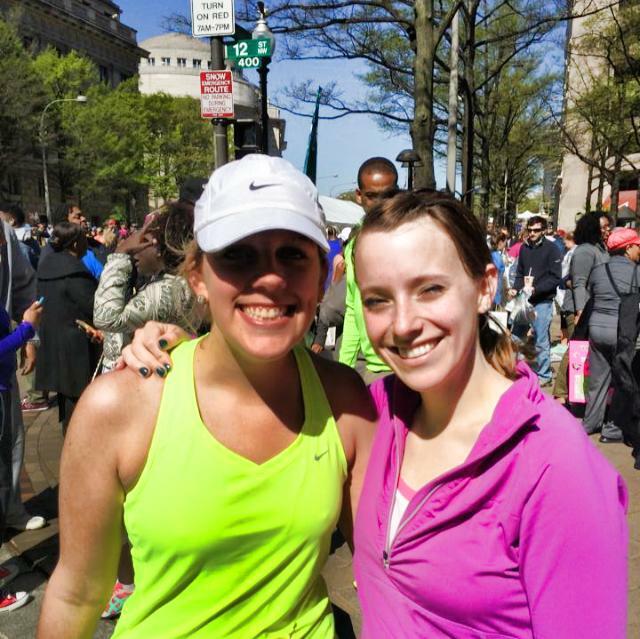 Last Sunday, they both ran the Nike Women's Half Marathon in Washington DC! 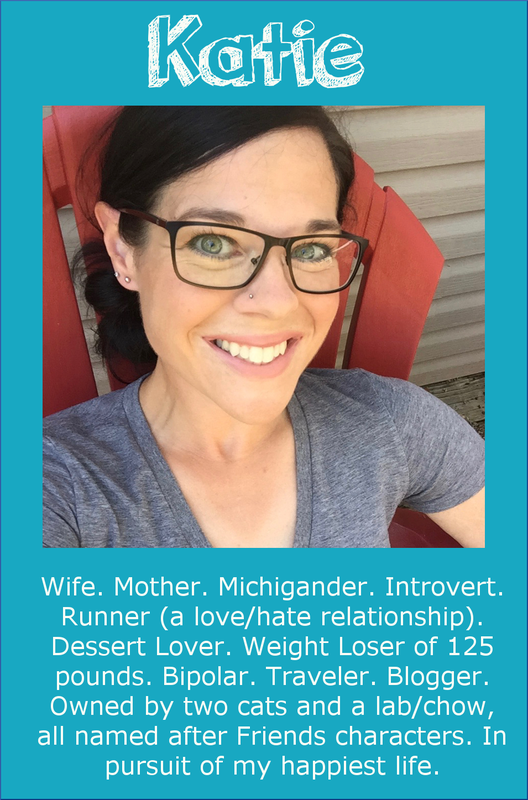 Maggie works with Girls on the Run, a program that helps build confidence in elementary and middle school aged girls while they train to run a 5K. She said a lot of the GOTR groups are looking for women that can be "running buddies" to the girls during their first 5K. You can get more info at gotr.org. 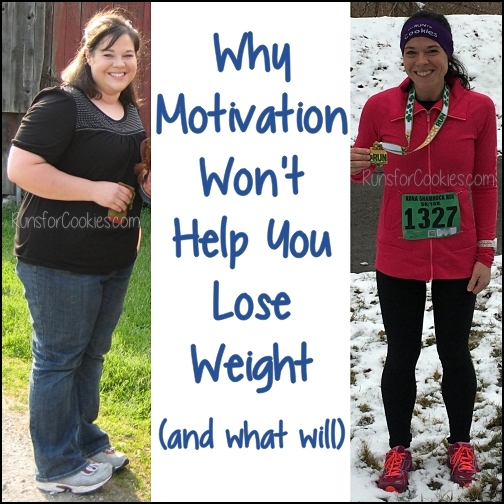 Carol has been running for five years now, and in the fall, she was featured on Motivational Monday because she ran a 5K without any walk breaks. 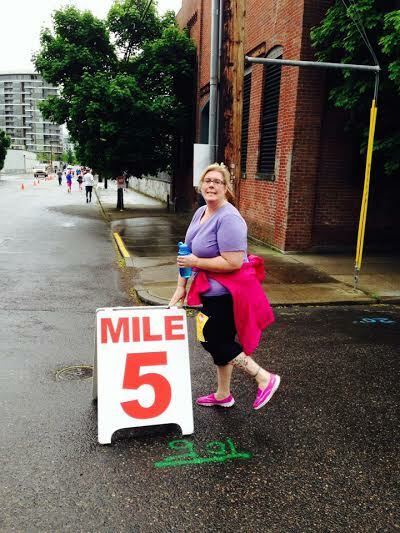 Today, Carol is very proud to say that she PR'ed her half-marathon time by five minutes! It was a very hilly course, and she'd just recovered from a sinus infection, but she managed to finish in 2:46 (previous PR was 2:51). She included this picture of her at a race--do you recognize who she's standing with? 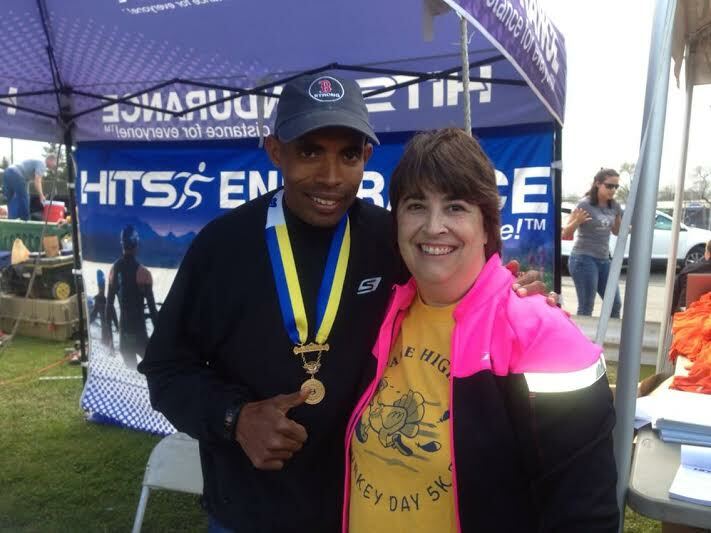 That's Meb Keflezighi, the winner of the 2014 Boston Marathon! Meb was also at the half-marathon she just PR'ed. 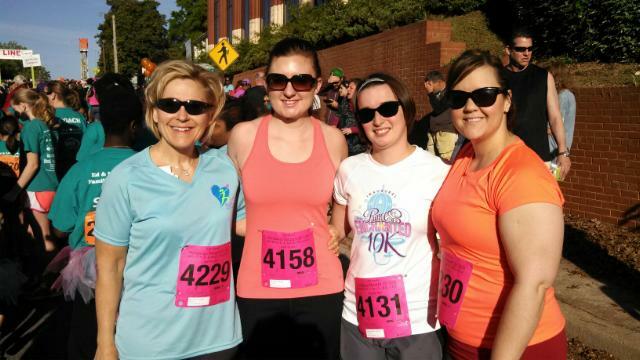 For the past couple of years, Katie (far right) and her mom, Claire (far left), have gotten together for Claire's birthday to do something active. 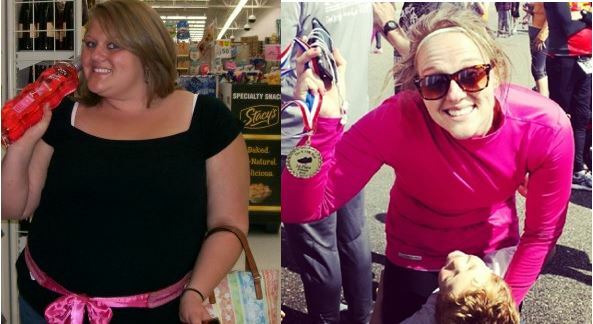 The past two years, they walked half-marathons together in Nashville and Louisville. They live hours apart, so they have to train separately, but they enjoy the challenge of doing the events together. For Claire's birthday this year, she traveled to visit Katie in Columbia, SC, to do a 5-Mile race with a couple of Katie's friends. They had a gorgeous day and a great race! After Tori's sister (left) told Tori (right) that she hates running, Tori did what any good sister would do: she entered them both into the lottery for the Nike Women's Half-Marathon in Washington DC. Tori was thrilled when they were selected, and the pair trained together. Last weekend, they crossed that finish line holding hands! Kathryn just had an incredible month of races in April! She ran the Cherry Blossom 10-Miler on April 6th; on April 13th, she ran the George Washington Parkway Classic 10-Miler, and PR'ed the previous week's race by over 2 minutes; and then on April 26th, she ran her first half-marathon! She ran the Ocean City Island to Island half-marathon in 2:23. 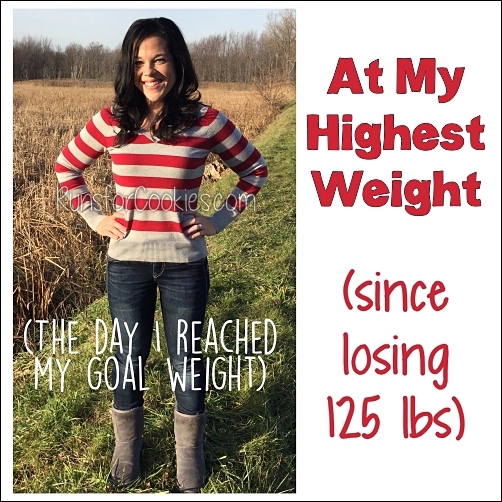 She started running in the spring of last year, which has helped her keep off 40 pounds! Tomorrow, Nancy will be 50 years young, and she wanted to get in shape for her special birthday. 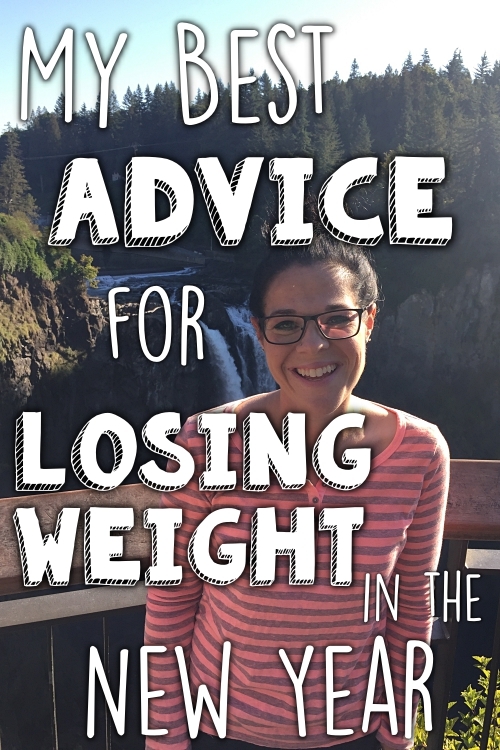 She started taking Zumba classes, counting calories, and even signed up for a 10K walk in Portland. And yesterday, she completed it! 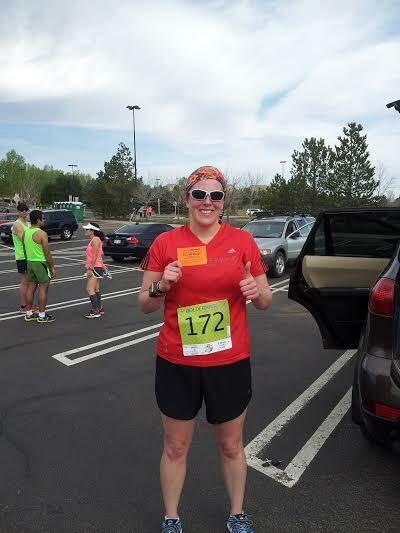 It was her first race event, and she walked the 10K in 1:53. Her son walked with her, and really helped her through the last mile. I am dying to run the Nike Women's Half!! I really need to get back in gear on my couch to 5K. I really want to do the Hot Chocolate Run in Denver again this fall. More that that though I really want to do the Bolder Boulder sometime. Even just to walk it. I love the slogan on some of their t-shirts "Sea level is for sissies!" Those events look like a lot of fun, its high time I get into some of these jogs myself. 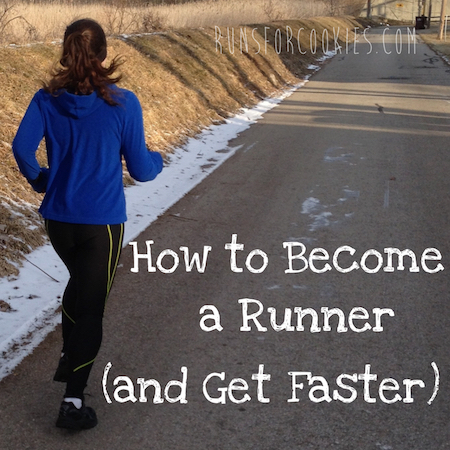 Having a 'running buddie' sounds like a great idea for motivation and even a little bit of friendly competition. Wow, you have a lot of DC readers! (Including me.) 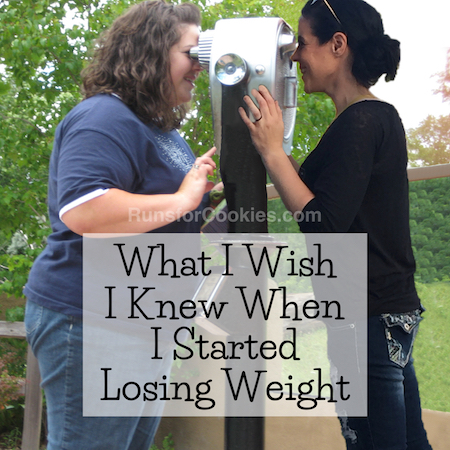 I give up candy and sugary foods every January for a month. I think it is easier in January because I just ate a bunch of Halloween and Christmas candy, and Valentines Day and Easter are right around the corner. January is a very welcome break. Such great stories! I've been anxiously waiting to submit my next Motivational Monday....my first half marathon is this weekend!